Criminology, law and society major Sasha Toophanie loves music and radio, so, as a freshman, she joined WGMU. She started at Mason’s student-run station as an assistant to the music director. Two years later, she made some history when she was named WGMU’s first female general manager. As general manager, Toophanie has new responsibilities, such as consulting with faculty advisor Rodger Smith on the station’s direction and management, being in charge of the station’s daily operations, and overseeing all executive staff members. Toophanie has excelled at every job she has had at WGMU, serving as music director and program director prior to taking on her current role. Including those who, like herself, aren’t looking for a career in the field. 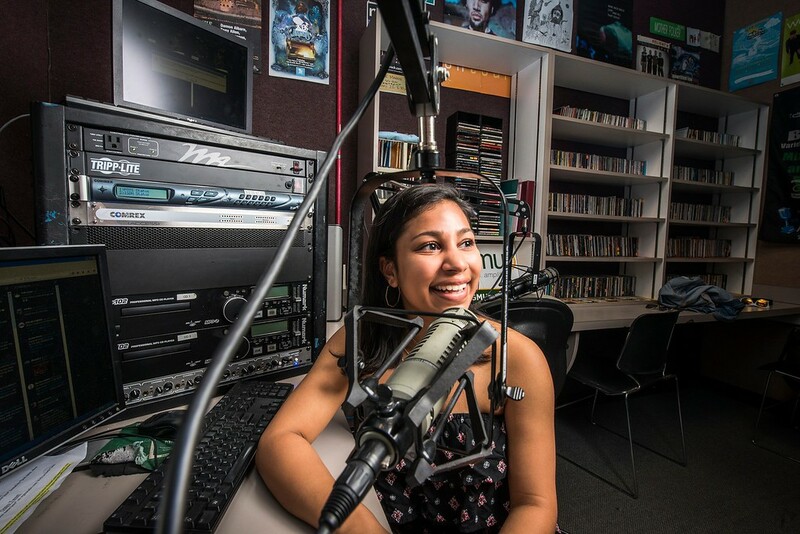 As Toophanie says, her time at WGMU brought her a creative and leadership opportunity outside the obligations of her degree.